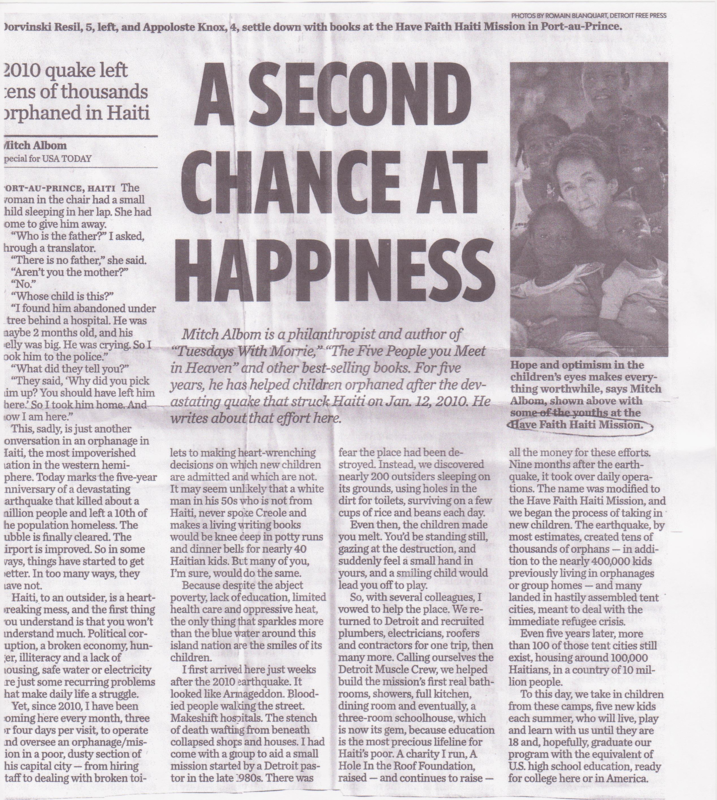 February marked the 7th year anniversary of the devastating earthquake that took the lives of about a million civilians, and left 1/10th of the population without a home. We were honored to fund Little Egg Books to the Have Faith Mission for children whose books were destroyed. 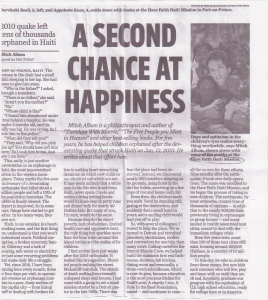 The Have Faith Mission is a special project by Mitch Albom, author of many best sellers, including Tuesday’s with Morrie. Albom, along with volunteers and partners, helped built a 3-room schoolhouse for the kids left without a place to learn and grow.